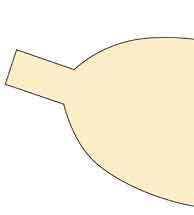 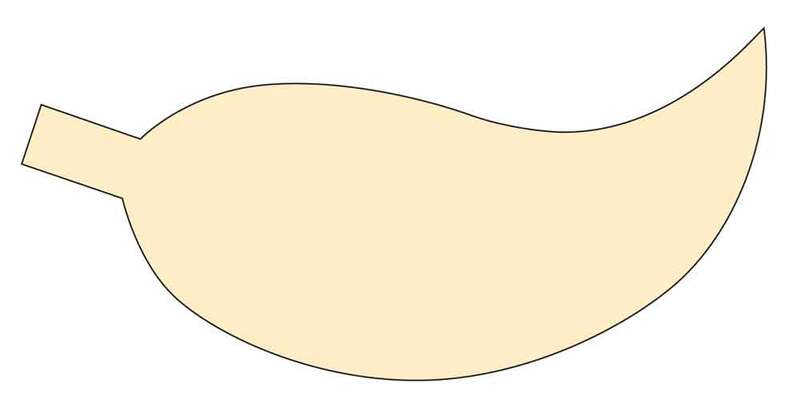 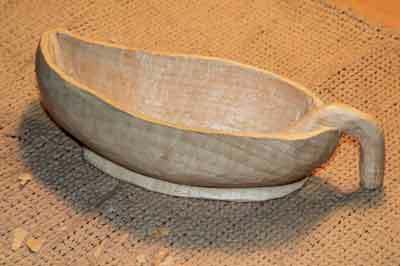 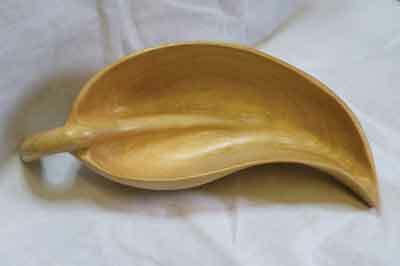 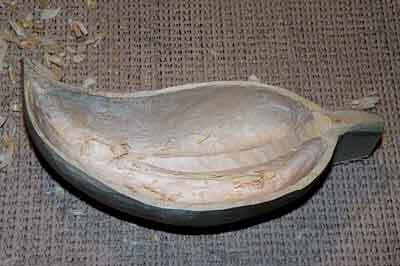 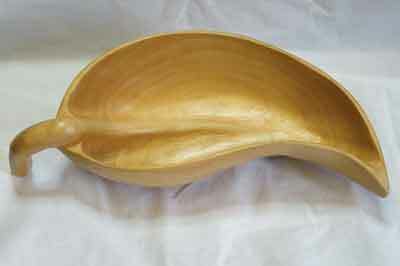 This article is a simple leaf-shaped bowl to introduce beginners to woodcarving. 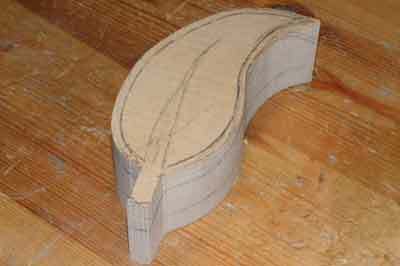 The idea is to introduce a carver to use a few basic gouges, thinking in three dimensions and holding the carving securely. 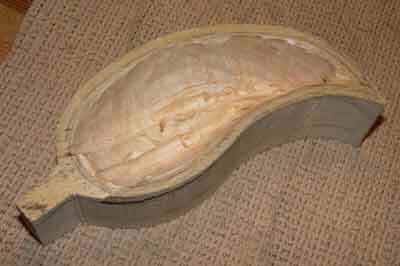 The carving should take about a day to carve. 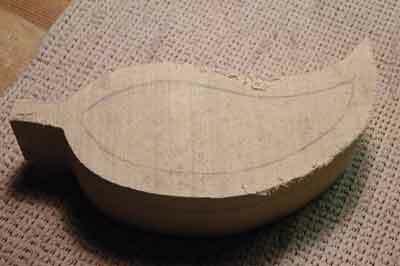 The gouges referenced in the box opposite are those used but any suitable gouge could be used; some alternatives are indicated where appropriate. 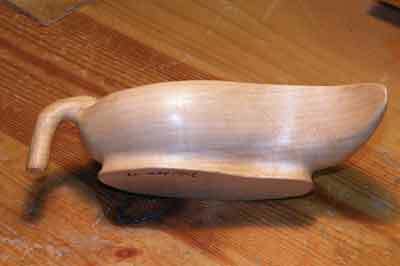 It is always recommended to use as big a gouge as practical. 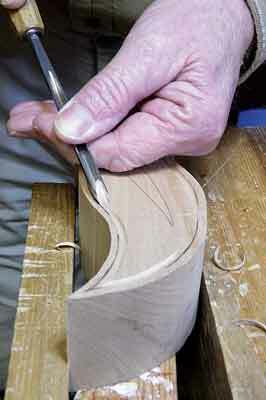 Ensure your gouges are sharp throughout the carving, as this will help you yield the best results. 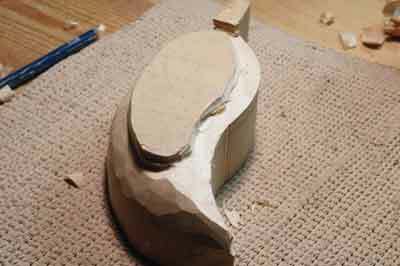 The idea is for the beginner to enjoy carving. 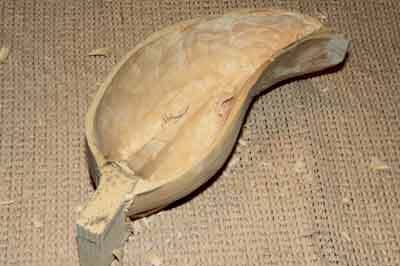 However, there are some basic safety rules which the carver should adhere to. 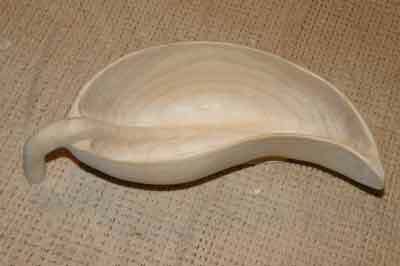 Primarily, keep your work space tidy, secure your carving, keep your hands behind the sharp edge of the gouge, never carve towards yourself, and lastly, never try to catch a falling carving gouge. 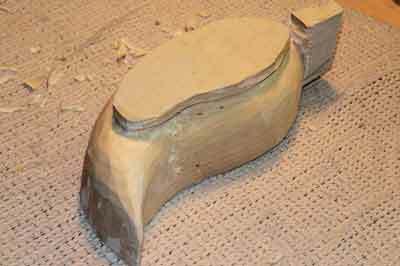 Sharp tools are safer than blunt ones as more effort is required with a blunt tool and this may result in the gouge slipping.